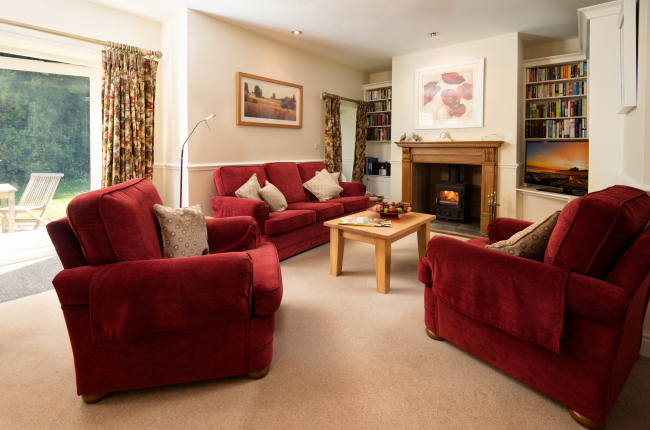 Longlands is a luxury self-catering holiday cottage superbly located on Doxford Estate in Northumberland, near Alnwick, Bamburgh, Craster and Seahouses. It offers exceptional holiday accommodation for a family or group of four wishing to enjoy a holiday in Northumberland. 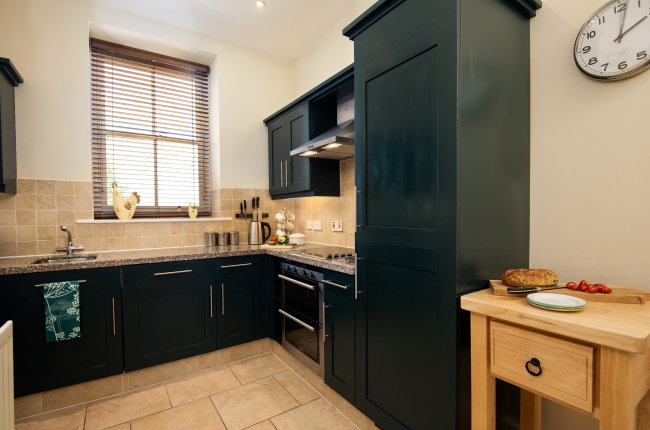 This 5-star holiday cottage offers outstanding luxury accommodation for a self-catering holiday in Northumberland. One enters Longlands through a large entrance hall. Off the entrance hall, there is a downstairs bathroom with a power shower. Offering great comfort and style, the large sitting / dining room has an elegant log fire and Persian rugs. 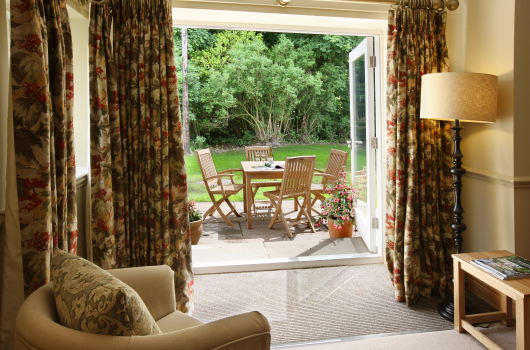 A second sofa next to the French windows provides an ideal place to read a book and take advantage of the afternoon sun and woodland views. As with all the cottages at Doxford, the sitting room has a flat-screen television and DVD player, and masses of good books, pictures and prints. The sitting / dining room leads through to a fully-fitted kitchen with a large window looking across the courtyard to the parkland. 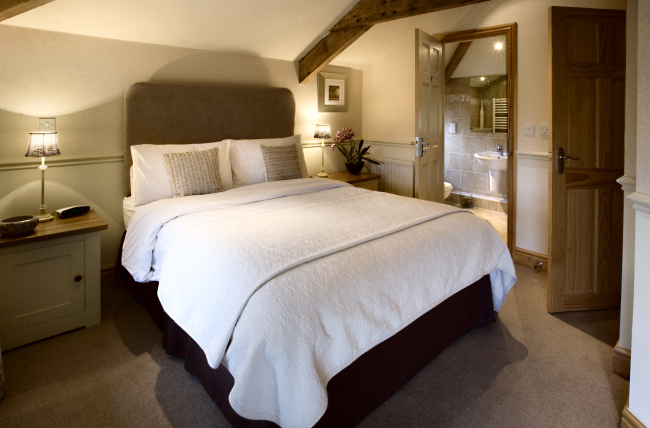 Upstairs, the sleeping accommodation comprises one double bedroom, with a king-size bed and en-suite shower room, and one twin bedroom. 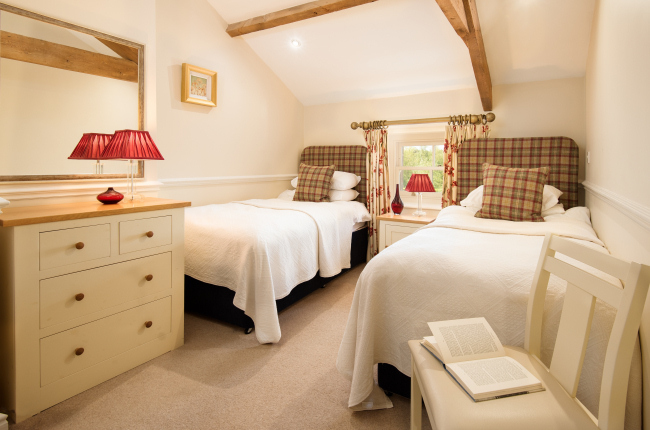 Both bedrooms are full of character with honey coloured beamed ceilings and views across the parkland towards the nearby beautiful Northumberland Coast.